At AW, we understand the needs of companies that manufacture their own products. Our parent company is a large tool company that acquired AW Screw when the opportunity came knocking. 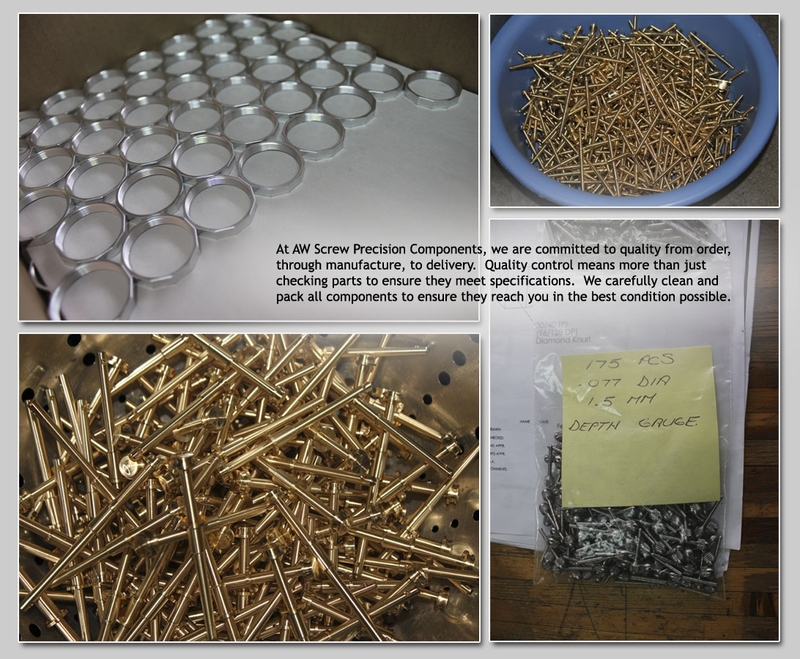 50% of the work done by AW Screw Precision Components is to produce parts for our parent company. We recognize that many companies have the need for a reliable, trustworthy small parts manufacturer, but not all companies can simply go out and buy their own! Take advantage of the specialized CNC Swiss machines and technical expertise of AW to produce your tight tolerance, precision components. You can rely on us to produce the highest quality components for the products you are proud to have your name on. At the same time, the efficiency of our production keeps costs low, so your margins are as good if not better than if you manufactured these parts yourself. We have the capacity for runs from prototyping to tens of thousands. Avoid the headaches of overseas parts runs, and choose a reliable local CNC Swiss machining shop, trusted for quality work, for over 30 years.